At Caldeco Air Conditioning & Heating, we offer customers the very best air conditioning repair, maintenance and installations. For almost 30 years, we have been the company that Central Florida home and business owners turn to when they need HVAC system repairs, and we are renowned throughout the communities we serve for our prompt, friendly and reliable service. Caldeco Air Conditioning & Heating offers both commercial and home air conditioning service, installations and repairs, and we can service nearly any make or model. 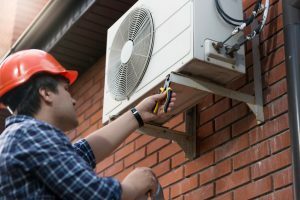 Our professional and experienced service technicians are always equipped with the tools and parts needed to complete most common AC repairs on the very first visit, and for more complex repairs, we have an extensive inventory of parts in stock to quickly and efficiently get your unit working again. In addition to air conditioning repair and maintenance service, we also provide our customers with duct cleaning and sealing, air filtration, new system installations, and much more, so we can truly be your single source for any heating and cooling need. Whether you are in need of a completely new unit, want to ensure your system lasts for years to come by scheduling regular maintenance services, or are experiencing issues with the performance of your current system and need assistance fast, we can help. If you are in need of air conditioning repair or commercial or home air conditioning service in Brandon, Clearwater, Wesley Chapel, Trinity, Pebble Creek or the neighboring areas, contact Caldeco Air Conditioning & Heating today to schedule an appointment. We are the Hometown Experts, and we look forward to serving you!